stay in Camp somewhere in Canada all winter. You can tell Dot I am well supplied with sweater and wristlets but if she wants she can knit me some socks as I can always use socks. I have two good pairs of heavy grey ones but I will need more because it is very cold where we are going. 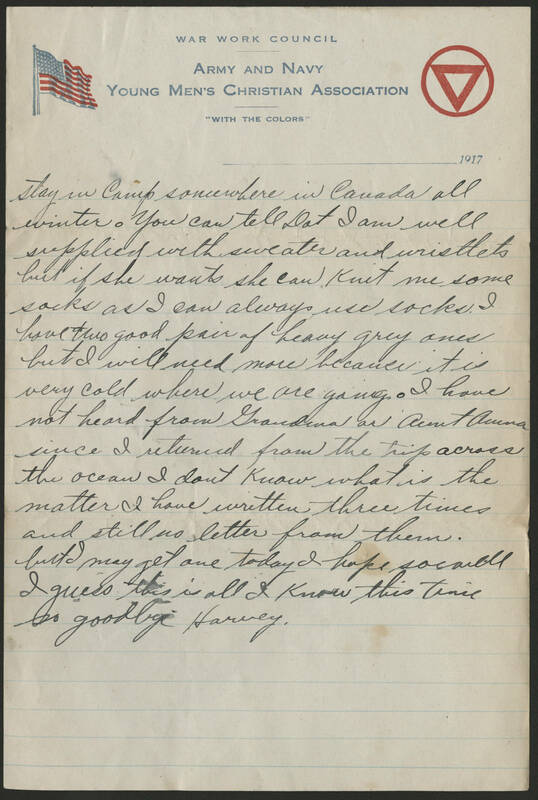 I have not heard from Grandma or Aunt Anna since I returned from the trip across the ocean I dont know what is the matter I have written three times and still no letter from them. but I may get one today I hope so well I guess this is all I know this time so goodbye Harvey.